BERLIN (AP) — Germany’s market regulator is imposing new rules that will oblige investors to report short-selling positions in major financial-sector stocks. BaFin said Thursday that the rule will take effect March 25 and is valid through the end of next January. 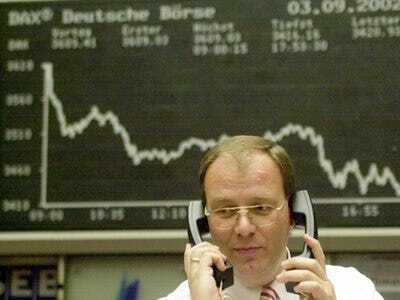 It applies to 10 stocks including those of Deutsche Bank AG and Commerzbank AG. Investors will be obliged to report to BaFin net short-selling positions starting at a threshold of 0.2 per cent of the stock. Starting at 0.5 per cent, they will be published on the regulator’s Web site without the holder’s name. BaFin said it was necessary to create rules that allow the regulator to act on the basis of better information against potentially destabilizing short-selling — which involves betting against a stock.